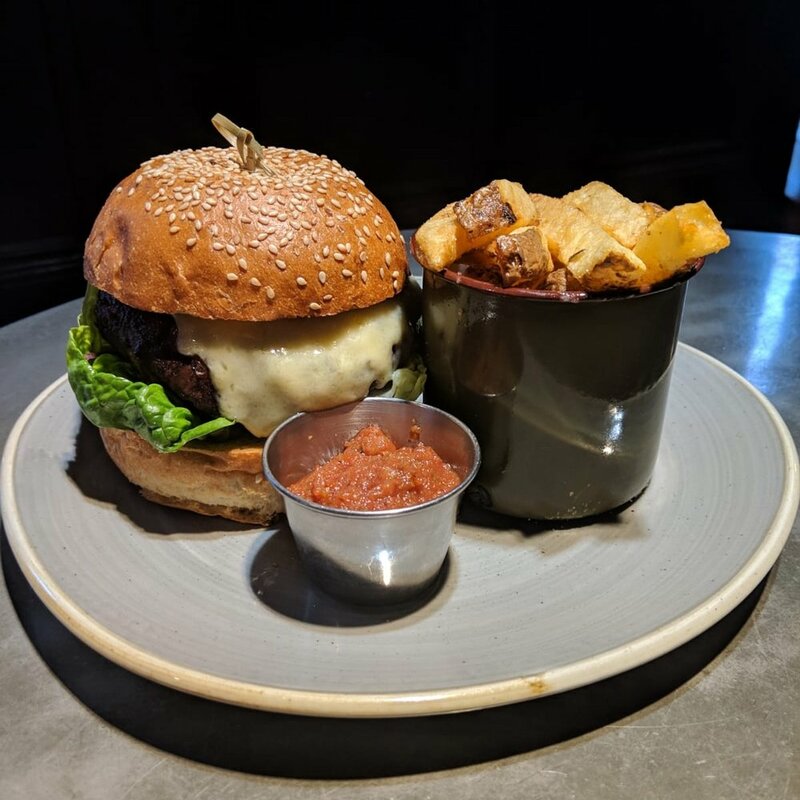 Packed with flavour from black beans, beetroot and mushrooms, this burger is just one of many vegan recipes Edinburgh-based bar and restaurant Element have on their menu. They’ve shared their secret recipe so you can go plant-based at home this January. First, cook the rice according to packet instructions. Blitz the walnuts in an electric food processor. Add the mushrooms and blitz again. Cook the mixture until the liquid evaporates, then add the soy sauce and cumin. Stir the ingredients together and then remove from the heat and set aside. In a separate pan, sauté off the onions then add the garlic, tomato paste and seasoning. Add the beans to the pan and mix well. Remove the mixture from the pan and blitz in an electric mixer until smooth. Add the walnut mix, beetroot, mustard, flour, breadcrumbs and cooked rice to the mix and stir well until everything is fully combined. Shape the mixture into burger patties. Fry the burgers in a pan with a little vegetable oil until golden brown and piping hot in the middle. Serve on a bun with your choice of salad, vegan cheese, potato wedges or anything else you fancy!